I read this article and found it very interesting, thought it might be something for you. 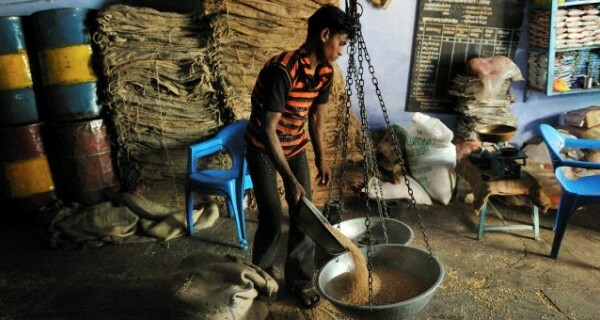 The article is called India’s Cities Get Less Subsidised Foodgrain But The Numbers Don’t Show and is located at https://archive.indiaspend.com/sectors/indias-cities-get-less-susbidised-food-grain-but-the-numbers-dont-show. How effective is India’s public distribution system (PDS) today and to what extent are authorities working to plug the obvious leakages in the system? One straight answer is that the PDS is seemingly losing its efficacy in metro cities. For two reasons; first, food grain off-take is falling. Second, there are large numbers of ‘ghost’ cards, all over and in cities like Mumbai and thus leakages. But then, the numbers don’t quite add up. IndiaSpend’s Prachi Salve had earlier filed a Right To Information (RTI) petition asking for figures on total distribution of food grains and the cost incurred between 2009 and 2011 just in the state of Maharashtra. The RTI responses also encouraged us to dig deeper into the demand-supply dynamics of the PDS in the ‘Mumbai-Thane Rationing Area’ or MTRA. For this, we used the 2011 report of the Justice Wadhwa Committee set up to study PDS systems including Maharashtra. By way of background, India’s state-run Public Distribution System (PDS) serves nearly 330 million poor people through a network of 0.49 million ‘Fair Price Shops (FPS)’. Its job is to ensure food security for the poor by making food available at cheaper rates. The system is operated jointly by the central and the state governments. The central government ensures the procurement of food grains, transportation and allocation of food grains to the states. Whereas state governments deliver the food grains to the poor through the fair price or ration shops. It’s also the state government’s job to identify beneficiaries, issue ration cards and monitor the FPS. Food grain distribution in the MTRA is different from the rest of Maharashtra as the FPS take their allocations directly from the Food Corporation of India (the Government body which procures, stores & distributes food grain) depot. The FPS are organised as Authorised Authority (AA) or Organised Bodies (OB) which in turn are recognised by the state government. These bodies get door-step delivery of food grains and in turn distribute to consumers. However, when the Wadhwa Committee interviewed beneficiaries, they found that there was demand for APL food grain. In fact, there were many complaints regarding the low supply of APL food grain in the FPS. Interestingly, only about 1.3% of residents in the MTRA region have BPL cards. This of course does not necessarily imply there are only that many poor people, rather that the majority of the ration cards are in the APL category. IndiaSpend in its RTI had also asked the Department of Food-Civil Supplies and Consumer Protection queries on the total number of ration cards and their estimation of the number of fake ration cards in circulation in the MTRA region. We received no response here. The Wadhwa Committee of course has these figures. The following is the table shows the total number of ration cards in the MTRA region. The Wadhwa Committee Report also addresses the perennial question of fake or ghost ration cards. According to data provided by the Maharashtra Government to the Committee, about 1.2 million fake ration cards were identified and eliminated in a drive undertaken by the state government during January to May 2010. What is evident from the report is that most ration cards are from the APL category followed by the BPL/AAY cards. This evidently leads to diversion of food grains, assuming of course that most food grain ought to go to the BPL category. The Maharashtra government also said there are 13.09 million APL households which included families whose income is more than Rs 1 lakh per annum. Interestingly, when it came to asking for allocations from the Centre, Maharashtra worked out allocations based on 13.83 million ration cards. Moreover, this was meant for families with an income between Rs 15,000 to Rs 1 lakh. One reason for large number of fake ration cards is attributed to the fact that the allocation is made on the basis of cards rather than units. The unit system treats a member of the family above the age of 10 years as one unit. And 4 kg of food grains is supplied per person (per unit) per month. Another reason for the existence of ‘ghost’ ration cards is that ration cards are used as identity proofs and thus there is great demand for them. IndiaSpend’s studies (preliminary as they are) also show up a severe data reconciliation problem in this area. The PDS system was created to supply food to the poor at a subsidised rate. That it is not happening is well documented. The need to have identifiable and verifiable beneficiaries has never perhaps been greater, whether the food grain is handed over directly or via cash transfers. That’s another debate though.